Piping hot and ready for a topping of grated cheese, one more hour in the slow cooker and dinner will be ready. Time to make biscuits. This recipe in the top 50 at allfreecasserolerecipes.com for the month of Fbruary 2018!!!!!!!!!! 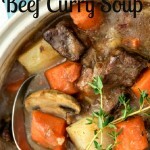 An Old Maine Logging Camp Favorite Adapted for the Slow Cooker! This old logging camp favorite has been adapted for cooking in today’s slow cooker. Here in the Northwoods, the logging camps were famous for the hearty meals that they served their work crews in the old days. Back then the process of harvesting the trees was labor intensive and the lumber jacks needed good hearty meals to fuel them. The men had to cut the trees down by hand, and pull them out with teams of horses. As time passed the work was made a little easier with the use of chainsaws and skidder-tractors but still required a lot of moving around and physical work. Not so much now as the whole process has become very mechanized and tracts of trees that took weeks to cut can now be harvested in a day or two. If you ever plan to visit northern Maine, be sure to include a trip to the Lumbermen’s Museum in Patten, Maine. It has a wonderful living history exhibit of life in the North Maine Woods Lumber Camps of old. 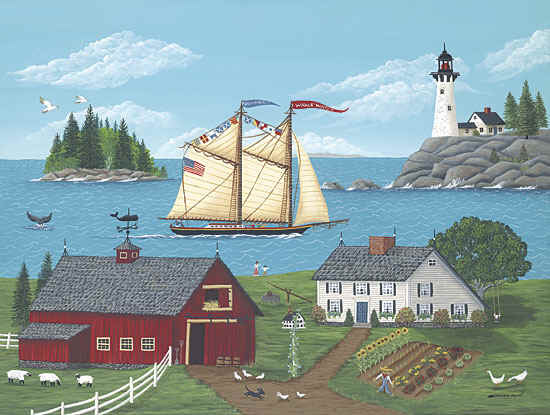 And in August, the outstanding Bean Hole Bean Dinner is an event that folks from all over New England come to for a taste of the old Maine lumberjack tradition, “bean Hole Beans”. But the cooking traditions are still rooted deep in these Northwoods communities. This recipe was given to me by a woman who worked as a cook in the logging camps in the old days. I adapted it to the slow cooker for today’s busy families. It’s a hearty one-dish meal that has a little bit of everything – meat, veggies, dairy. This old lumberjack favorite, A hearty one meal dish that can be conveniently prepared in the slow cooker for today’s busy families. Brown ground beef in skillet, then drain the fat and put ground beef in slow cooker. Pour tomatoes with juice into a medium bowl and smash up a little with a potato masher utensil. Add with juice to slow cooker. Add the rest of the ingredients except for the cheese and stir to mix well. Cover and cook on low for 8 hours. (4 hours on high). Sprinkle the top with cheese and let cook for one more hour covered. Serve piping hot. Great with a side of freshly baked biscuits. Any canned condensed cream soup will work such as cream of celery, cream of potato, cream of broccoli. Just pick a flavor profile that you like. Cream of chicken will work too. I was wondering what other kind of soup I could use instead of the cream of mushroom? My husband doesn’t like mushroom’s at all. Thanks. Sorry, I missed your question but I would use cream of celery. You want a cream soup to add sauce and some flavor but not an over powering flavor. Cream of Celery would be perfect for that. Small world! 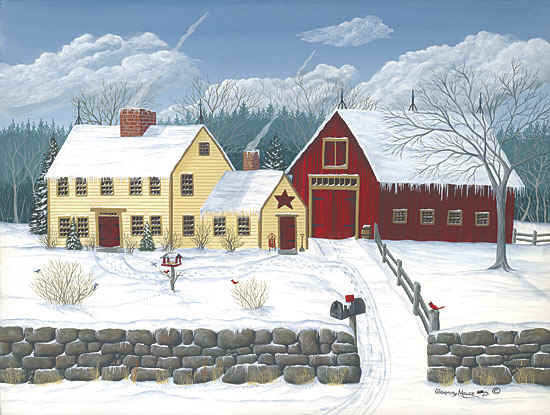 I moved to Sherman, just next door to Patten about 25 years ago from southern New Hampshire. I love it! It’s rugged country but so very beautiful. When did you live in Patten? We might have met. I owned a small arts and crafts gallery on Main Street next to Ellis Market and the bank from 1994 to 1999 . 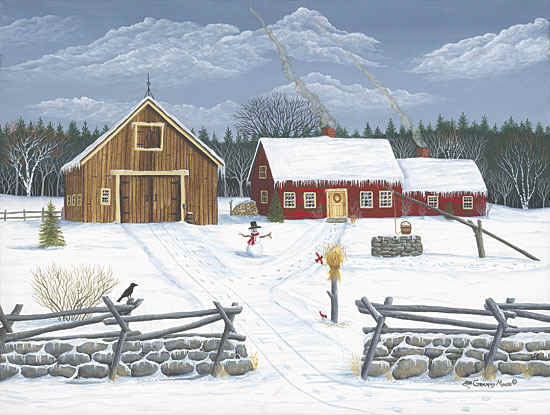 It was called The Country Bumpkin Artisans Gallery. Hello, this recipe sounds so great! I am making it tomorrow morning so it can sit for the 8 hours on low. My only question is what kind of onion did you use? When I bought the ingredients I bought a yellow onion, primarily because there were no “good” white onions. Does it really matter what type of onion? Was just curious what kind you had used. Thank you in advance! I tried it with yellow onions, vidalia onions, and spanish onions. I think it tastes best with the yellow onions so you should be all right. The vidalias seemed too mild. The spanish were good but I thought the yellows were the best of the three. The flavor was great but my biggest problem was that the potatoes never cooked past the chewy stage after cooking it for 7 hours on high. Yes I did cut them small but maybe not small enough. Any smaller and they would not resemble potatoes at all. Should I maybe boil the potatoes before adding to this stew? If so, how long should I boil them? What type of potato did you use? I usually use russets and have never had this problem. If you do pre-boil them, I would add them toward the end of cooking time otherwise they may turn to mush. It’s a casserole so you could cook it in the oven. Most casseroles can be cooked sufficiently at 350 F for45 -50- minutes. I have never done it in the oven but this is the way I would approach it. I’m a little confused. I didn’t know they had cream of mushroom soup in the “old days”. What do you suppose they used instead? I’d like to prepare this meal as the original recipe. They would most likely have used a white sauce made from scratch with melted butter, flour, salt, pepper and milk. One could make it going “old school” but I use the canned soup because it is quick and easy for the hectic schedule of a contemporary Mom. Its kind of like making your biscuits from scratch or using the “canned” ones from the dairy case. Its a matter of the amount of time you have. It’s quite possible that the lumber camp cook DID use canned soup. Campbell Soup Company was started in 1896 and by the early 1900’s housewives eagerly were adding it to their favorite recipes. Very interesting, thanks for sharing some canned soup history with us! For the camping I too take the ingredients and cook it on camp fire in a cast iron skillet or I slow cook it, cool it, seal-a-meal it, freeze it and bring along. It will thaw out by the time you are almost finished getting to campsite and setting up. All you have to do and put in cast iron skillet and heat. Great idea! I love anything that makes a camping trip easier. We love to go on camping trips here in the North Maine Woods. There are so many delightful wilderness spots to set up a tent and enjoy! I am curious. The description in the allfreecasserolerecipes link said this is a good dish for camping, but it is for a slow cooker. How do you do this recipe for camping, or does “camping” mean motorhome and the KOA type campgrounds with electricity? Do look forward to trying it out. I don’t write the listings for allfreecasserolesrecipes, just give them permission to use my pics and recipes but this recipe could be used in a camping setting if you had a cast iron dutch oven with you. I often take mine along with other cast iron skillets to use when camping as they work well over a campfire. With the dutch oven I would set the the oven in some coals and also put coals on top of the lid. Cooking time would be about1-2 hours and keep an eye on it. Thank you for responding. I am looking forward to trying this recipe because my grandfather was a lumberjack. And it will be like being with him again. Wow, that looks very delicious. I’m so glad you shared this at the Say G’day Saturday linky party. I have pinned this and can’t wait to try making it! Thanks for linking up-hope you can join in again this weekend. Stopping by from Merry Mondays and House of Bennetts! Thanks so much for sharing with us. 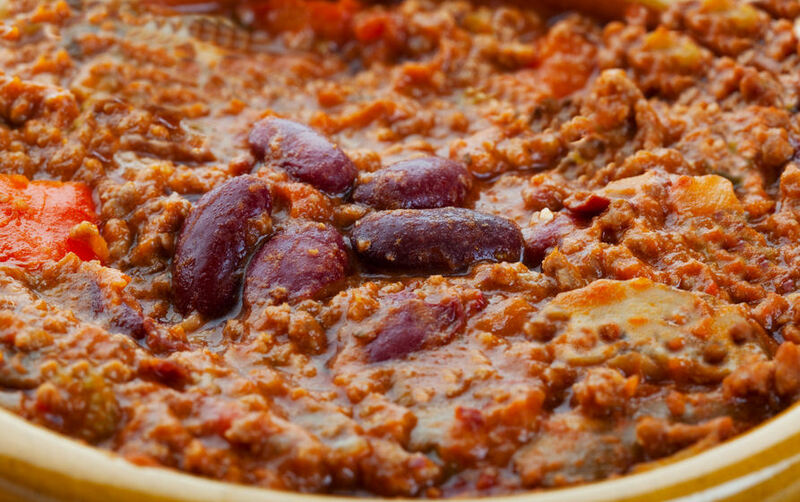 This looks like a cross between an amazing chili and a casserole. What a crowd pleasing meal! How delicious and super filling! Thank you for bringing your casserole to Family Fun Friday! 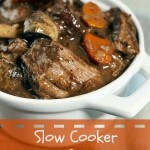 Slow cooker meals are always so helpful! Hope to see you next week! Hey there! Thanks so much for stopping by and linking up your tasty recipe! Stop by again next week and link up another awesome project! I love anything for the slow cooker! This looks exceptional. Thanks for sharing at The Gathering Spot this week 🙂 Enjoy the weekend! I know a lot of people think slow cookers are a blessing in the cold winter months, but I think they’re even better in the summer — no hot oven or stove and no slaving over hot barbecue grill! Thank you for sharing this in the GRAND Social! I love recipes that go in the slow cooker. This lumberjack casserole sounds delicious! Thanks for sharing this at the In and Out of the Kitchen link party! So happy you stopped by. This looks delicious! I bet the hearty eaters in my family would really enjoy it. I’d love for you to bring this to Tuesday’s Table http://zentmrs.blogspot.com/2013/06/tuesdays-table-for-june-4-2013-and.html ! This looks and sounds delicious. I love slow cooker recipes and since husband really tired of chicken I’m thinking this would be a hit! Just stopping by from the GRAND Social Linky Party. Thanks for sharing! Love this and anything that goes in the slow cooker! When I was a mom working outside the home, I relied heavily on my slow cooker. And now that I am at home, I still find it one of my most important appliances. After cooking with one for 35+ years, I have developed a lot of recipes so I can use it for so many different things. Now that its summer, it helps cut down on heating up the kitchen. I bake bread in it, roast meat in it….helps cut down on warming up the kitchen and is frugal as it uses less energy than my oven. I put it on the picnic table on the porch and let her cook!! Best wishes for tasty dishes this week! It sounds so good! Thank you for the recipe! Mmm … this looks delicious! I’ll have to star this one too! MAINE! I LOVE MAINE!! Especially the southern coast!! This looks really good and one I definitely need to try!! Thanks for linking up with us at One Sharendipity Place this weekend! Yes, the coast is so charming . I’m headed to the northern coast to Machias tomorrow for fresh lobster rolls, and to photograph Quoddy Head Lighthouse for an upcoming blog post. But try heading inland sometime! There’s a lot see in villages, the mountains, and the Northwoods. Moosehead Lake is very beautiful!